Three sets of the same bifolia from binding waste. 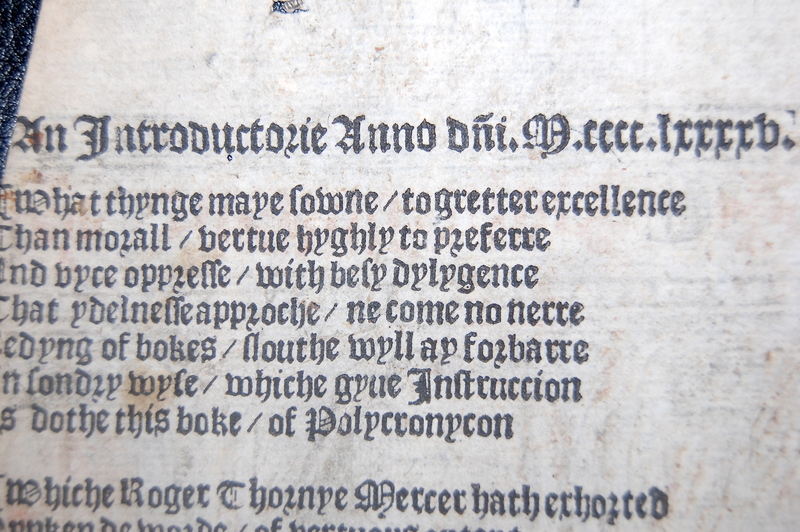 Southwerke: P. Treueris at ye expences of J. Reynes, 1527. First printed by Caxton in 1482. Second edition, 1495, by Wynken de Worde. STC 13440; Langland to Wither 144; Pforzheimer 490; Huntington C.L. 423; Sinker T.C.C. Cat. No. 865; Ames (Edit. Herbert) III, 1443; Huth Cat. II, 696. The 1495 edition looks quite different. Physical descr. , CCCxliiij, CCCxliiij-CCCxlvi,  leaves : ill., music (woodcuts) ; 2⁰. General note By Ranulf Higden, whose name appears on 2a3r. Translated by John Trevisa, who is named on 2a3r. Edited and with a continuation by William Caxton, whose name appears on R6r. 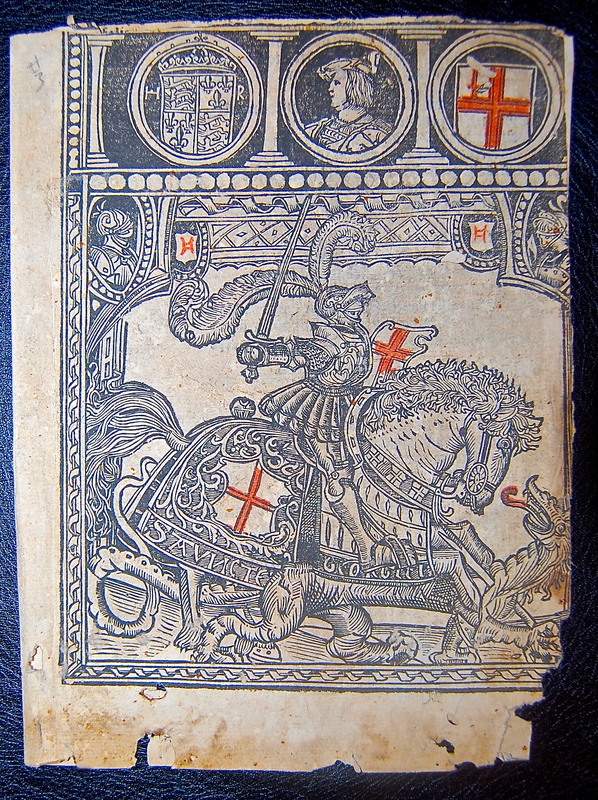 The continuation is reprinted from “The chronicles of England”, STC 9991. The title page, in red and black, is xylographic. Variant: leaves 2a1.8 in a trial setting; title set in type: Policronicon:. Identified as STC 18833a on UMI microfilm reel 448.
leaves 2a1.8 only (variant setting).